It’s hard to believe in this day and age, but at one time, the Indianapolis 500 used to air on ABC on tape delay across the country. The race would run in the daytime, but due to the Indianapolis Motor Speedway’s insistence on protecting the live gate, ABC had to adhere to the IMS’ demands. This practice finally ended in 1986 when the entire country could watch the race live. Well, the entire country except for the Indianapolis market which has repeatedly been in blackout since 1950. For this year’s race, the 100th Indy 500, will be actually be shown live in Indianapolis on Sunday for the first time since 1950. Citing a complete advance sellout for the race, IMS officials have lifted the local blackout so ABC affiliate WRTV will air the telecast live starting at 11 a.m. and will also air the race during its traditional tape-delayed timeslot at 7 p.m. 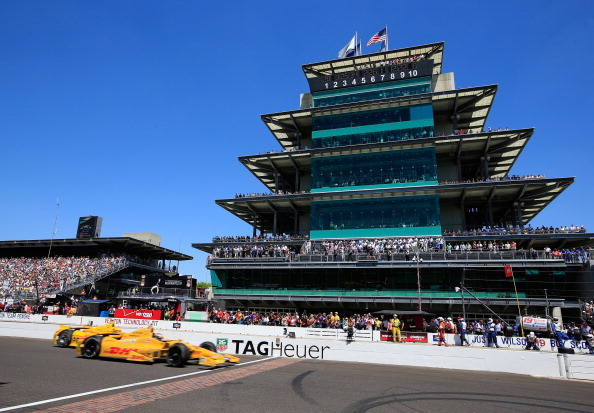 This marks only the third time Central Indiana will be able to watch the Indianapolis 500 live. Before ABC could air the race live in its entirety, it would film the race for later broadcast on Wide World of Sports throughout the 1960’s and then from 1971 through 1985, it would air the race in edited form in primetime on same-day delay. Following complaints from race fans and pressure from ABC, IMS relented and allowed live flag-to-flag coverage nationwide except for Indianapolis. The ESPN on ABC crew for the Indianapolis 500 will be fronted by Lindsay Czarniak who will host the telecast and Allen Bestwick who will call the lap-by-lap action. Scott Goodyear and Eddie Cheever will be the analsyts. Fans in Central Indiana can celebrate this year knowing that this year’s edition of the Indy 500 will be live at least for 2016.